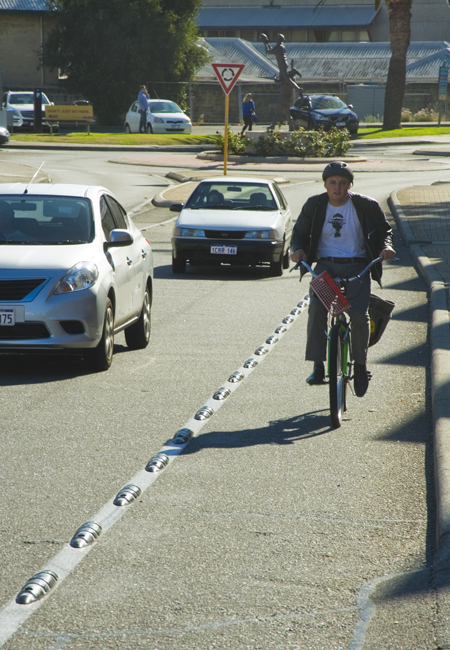 The City of Fremantle, as the first local council in Western Australia, has started to instal Armadillos to make bicycle travel safer in the city. The Armadillos are made out of recycled material and discourage motorists from driving too far too the left and intrude into the bike paths. The devices have a similar impact as those on country roads that warn drivers through noise and movement that they are too close to the edge, or heaven forbid fell asleep. 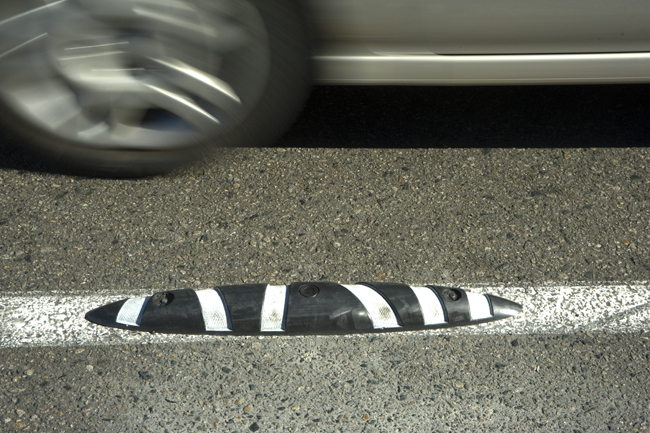 From my own observations in Freo far too many drivers drive on or over the left white line and would wipe out cyclists if they happen to be on the road, so the Armadillos are a very welcome sign and the name sounds like a yummy drink. At present only a small section of Parry Road at Fremantle Oval has got the Armadillos, but I believe they have far more impact than just the green painted bicycle lanes, so hopefully we will see many more in Freo soon, and less accidents as a result of them.